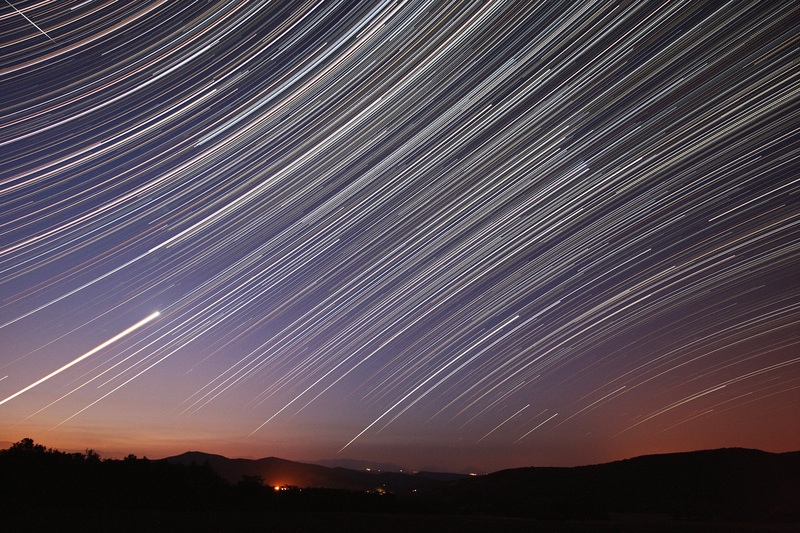 The web site koenvangorp.be has some sweet pictures of star trails. I especially like the first one, Orion in Grand Champ. It's great to see empirical verification of the "theoretical" cosmological facts we are taught, such as the earth's tilt, the elliptical nature of the solar system, our position in the Milky Way, and polar versus equatorial orbit of satellites. Speaking of astronomy, Mars is in opposition right now, which means that it is as bright as it is going to get for 26 months. Go outside on a clear night and take a look!